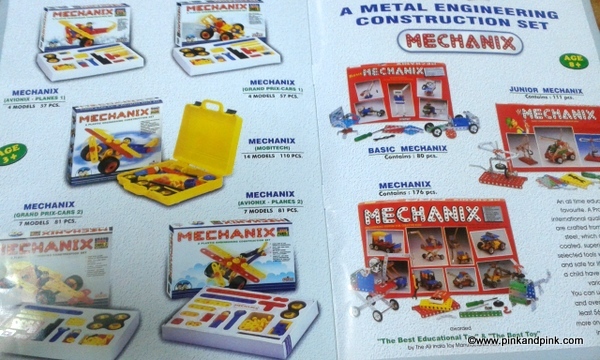 My kid's latest favorite toy set is Mechanix, a plastic engineering construction set from Zephyr Toys. My hubby bought it from Pink Panthers shop(Check their Facebook page here - https://www.facebook.com/PinkPanthersindia) and gifted it to my kid with no special reason. My kid has more than 100 different cars from popular brands like Hot Wheels, Centy and Siku. I know that my hubby would not stop buying toys for my kid. He would not even put a break for it. So, I insisted him to buy some new activity toys for my kid to keep him engaged more time. It is very good toy for kids who love constructing little toy figures on their own. I feel that my kid has to grow a little more to construct on his own without any help. But he enjoys playing with the individual parts. 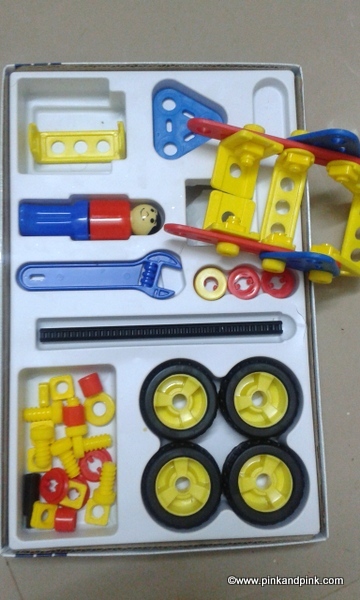 He imitates repairing his cars and other vehicle toys with the tools like screw driver, spanner, nuts and bolts. 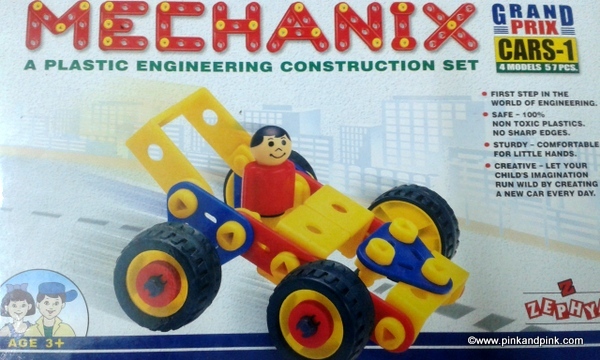 It has totally 57 pieces and your child can create 4 different models of car with them. There is a manual given along with the toy. It is quite clear and it is helpful to understand about the set. Instructions were given in the manual clearly. My hubby told that he found it as little bit tough while constructing it for the first time. It took some time initially. My kid asked him to disassemble and reassemble many times. Now my hubby is quite convenient with it. Skill set: Problem Solving, Motor Skill, Creativity and Imagination, Hands and Eyes coordination. Ideal for : 3+ years Boys(Your girl might also like if she is interested in Mechanical engineering :-) It is a plastic version. There are metal construction toy sets available for 8+ years. 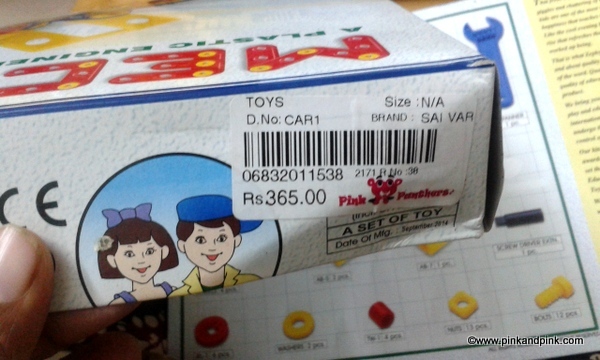 Price: Rs.365 is listed price in Pink Panthers shop. You can buy it in popular toy shops who have a wide collection of toys like Pink Panthers. You can also buy from online websites like Flipkart, Amazon. What I have reviewed here is Zephyr - Mechanix Grand Pix Cars - 1. Different versions like Pix cars - 2 and 3 are also available. 3. Sturdy. I am expecting a very long life. 5. Good for improving creativity and imagination, learning motor skills, hands and eye coordination, problem solving skills. 6. Can engage the child for more time. I am satisfied with the whole set. I do not see any cons. This is an ideal gift for boy children over 3 years. 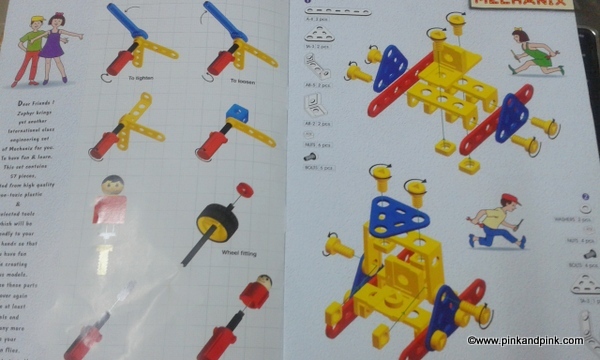 Children who love mechanical engineering and construction activities will surely love it. 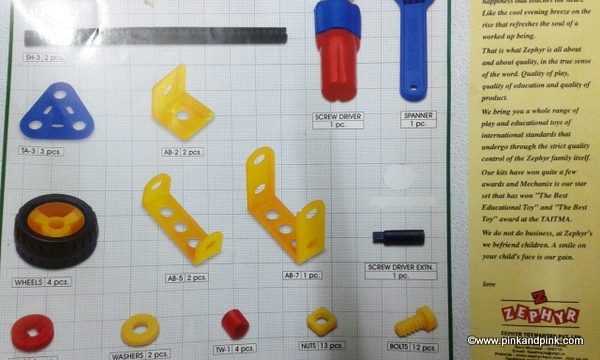 As the brand says it is definitely a first step for the children in the world of engineering. Even if they do not know how to construct, they will definitely like to play with nuts, bolts, screw driver and spanner. You can ask them to repair the other vehicle toys for fun.